We are delighted to announce that our AIS Class B CAMINO-108 series (CAMINO-108, 108S and 108W) is now featuring the “Dual GPS backup” with the firmware version v1.2.8.04. 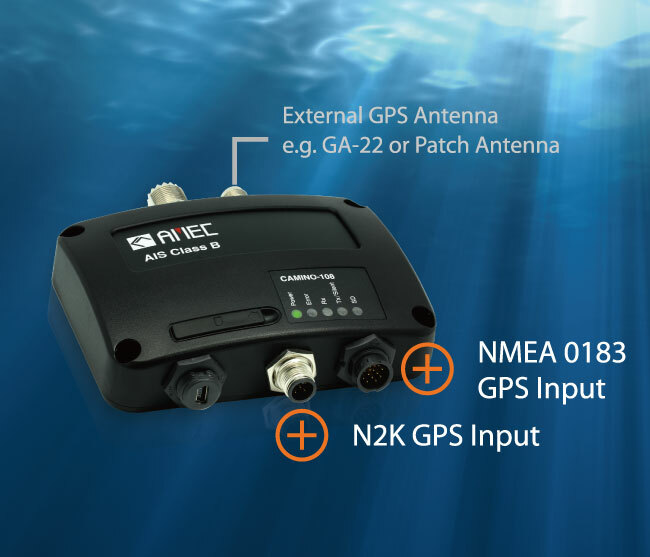 The new firmware supports NMEA 2000 GPS data input i.e. PGN 129206, 129029 and 129539. “Dual GPS Backup” enables GPS input from both NMEA 2000 and NMEA 0183. This feature actively backs up your external GPS antenna to ensure the positioning and transmission of your AIS transponder. The new firmware is available for your AIS device on AMEC website in the “Download” area. More details can be found in Camino-108´s user manual.